Recently, I wanted to convert my old PC to a media server so that my family can access the media on their smartphones without actually downloading the content. While configuring the device, I saw that Windows gave the system a random name. Generally, this not bad. However, when you have multiple PCs connected to the same network in your home or office, it can be quite confusing to recognize a particular PC using the default names. Thankfully, Windows has multiple ways to change the computer name. 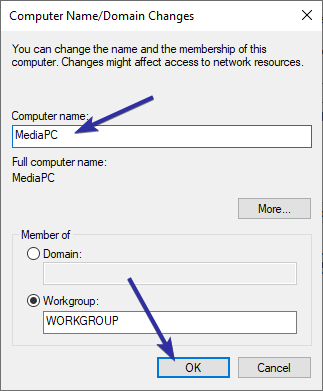 So, if you ever need, here's how to change PC name in Windows 10. The new settings app in Windows 10 makes it quite easy to change the computer name. All you have to do is find the relevant option and enter a new name. 1. Open the Settings app by pressing the Win + I keyboard shortcut or by clicking on the "All Settings" button in the Notification Center. 2. In the Settings app, go to "System" and then to "About". 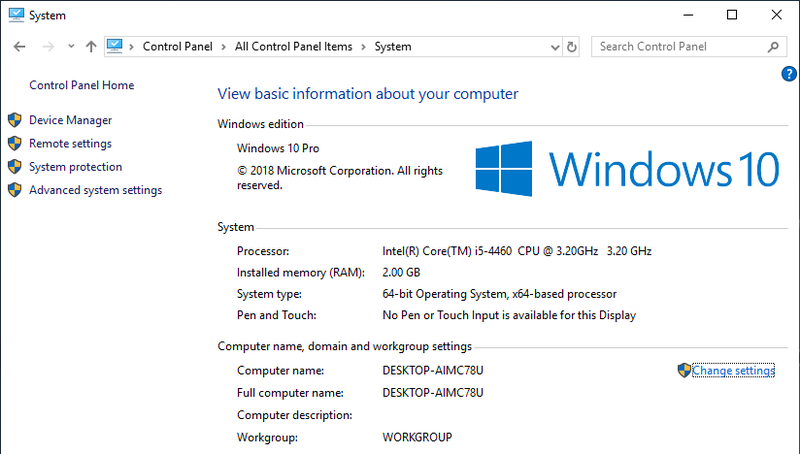 This is where you will see basic system details like your processor, Windows activation status, Windows 10 version, etc. Under the Device Specification section, click on the "Rename this PC" button. 3. The above action will open a prompt. Here, type in the new computer name and click on the "Next" button. In my case, the new computer name will be "MediaPC". 4. To make the changes take effect, you are required to restart your system. So, click on the "Restart Now" button. 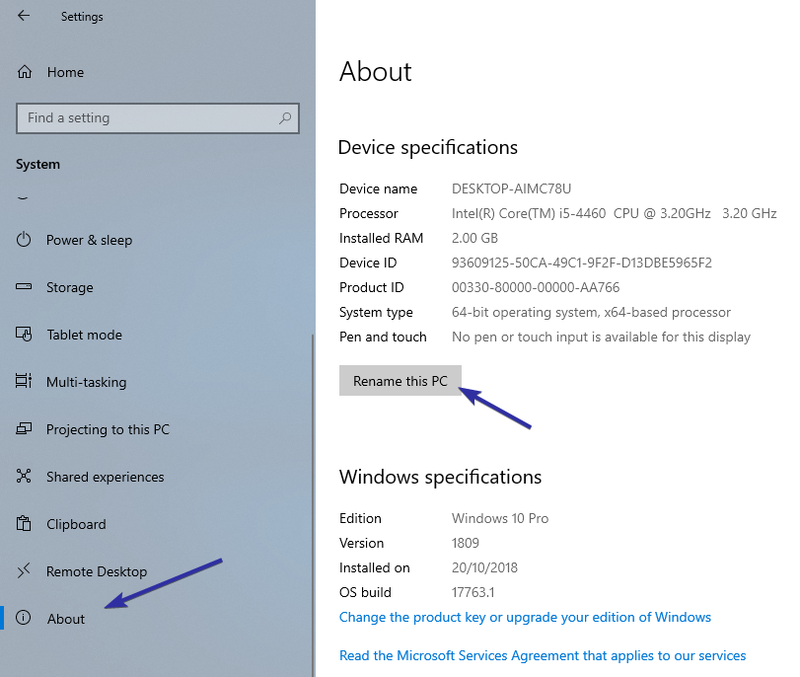 After restarting, go to the same settings page and you should see the updated computer name next to "Device name" under the Device Specifications section. If you are on older Windows version like 7 or 8 then you can use the good old control panel to change the computer name. Just follow the below steps as is and you will be good. 1. 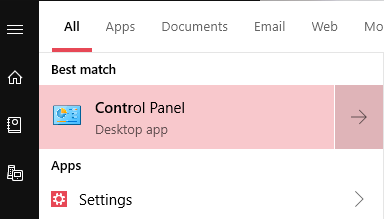 To open the control panel, search for it in the start menu and click on it. 2. 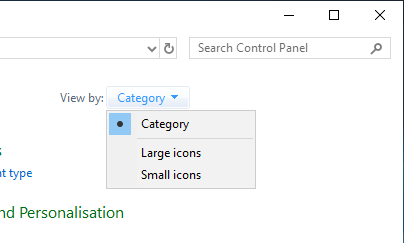 Once the control panel has been opened, select the "Large icons" option from the dropdown menu next to "View by". 3. Next, find the "System" option and click on it. 4. Here in this window, you will find all the basic details like system configuration, Windows activation status, etc. Since we want to change the computer name, click on the "Change settings" link. 5. The above action will open the system properties window. Here, click on the "Change" button. 6. Enter a new name under the Computer Name field and click on the "Ok" button. 7. You will see a warning prompt saying that you are required to restart the computer to make the changes take effect. Click on the "Ok" button to continue. 8. 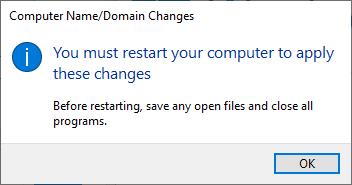 In this prompt, click on the "Restart" button to reboot the system. After rebooting, follow the first three steps and you should see the new name next to the "Computer Name" in the System window. If needed, you can use a single line command to change the computer name in Windows. 1. Search for "cmd" in the start menu, right-click and select "Run as administrator". 2. Before you can change the system name, you need to know its current name. To do that, execute the below command and the command prompt will spit out the current PC name. 3. Once you have the name, execute the below command while replacing CurrentPCName with the current name you've seen earlier and NewPCName with the actual new name. In my case, the new computer name is "MediaPC". If the command is successfully executed, you will see the "Method Execution Successful" output. WMIC computersystem where caption="CurrentPCName" rename "NewPCName"
4. Now, reboot the system and execute the hostname command to see the changed computer name. That is all for the command prompt method. Just like with the command prompt, you can also use PowerShell commands to quickly change the computer name in Windows 10. In fact, when compared to the command prompt, PowerShell command looks easy to remember. 1. First, we need to open PowerShell with admin rights. 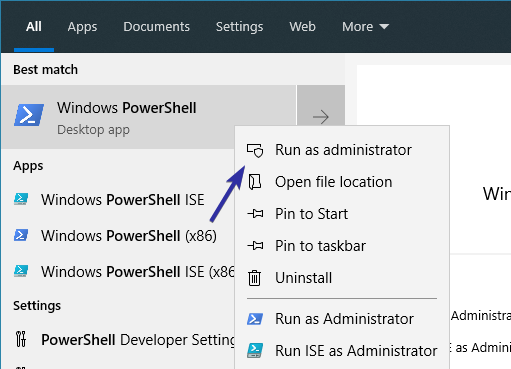 So, search for PowerShell in the start menu, right-click on it and select "Run as administrator". 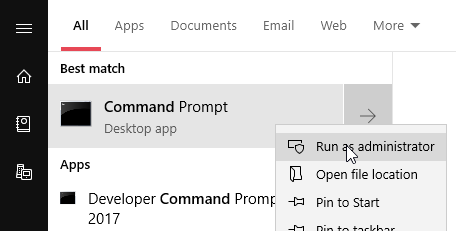 If you want to, you can also click on the "Run as administrator" option appearing in the options panel in the start menu. 2. In the PowerShell, execute the below command to find out the current computer name. Just like before, we are going the current name in the upcoming command. 3. Now, execute the below command while replacing CurrentComputerName with the actual current name and NewComputerName with the new name. In my case, the new computer name is "MediaPC". Rename-Computer -ComputerName "CurrentComputerName" -NewName "NewComputerName"
5. So, go ahead and restart the system. After restarting, execute the hostname command in the PowerShell window and you should see the new computer name. That is all. 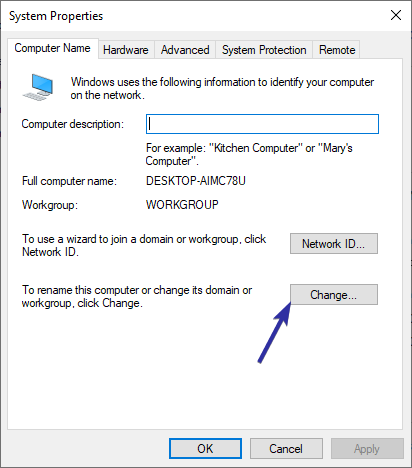 As you can see, changing the computer name in Windows 10 is quite easy using PowerShell or command prompt command or even the traditional settings or control panel apps. If you like this article, you might also like to learn how to uninstall Internet Explorer in Windows 10 and how to open always open command prompt as administrator in Windows 10.